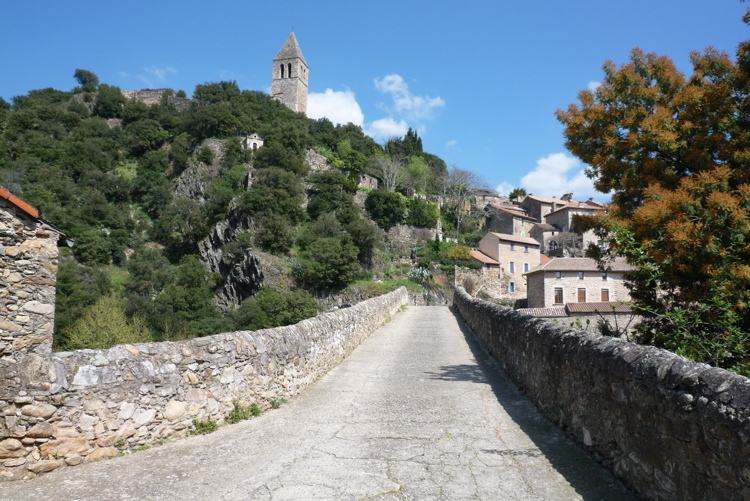 John and I have been working in between World of Hell intervals over the past couple of weeks and this is the result: Cycling Languedoc’s latest and greatest self-guided tour – Nîmes-Narbonne Backroads. 7 days / 6 nights, mostly in 4-star hotels and charming B&Bs. Bike rental for the week. The route itself is, unlike our first tour (a loop), an A-to-B affair, but the towns on each end are on the same main train line and transportation is a breeze. The route winds its way through the back country of eastern and central (the departements of Gard and Hérault) Languedoc, following the chemin less traveled! Along the way you’ll roll through some stunning natural scenery (Pic St. Loup and the Hérault gorge, for example), visit two UNESCO World Heritage Sites (St. Guilhem le Désert and the Canal du Midi), and plenty of lovely villages (including unique-to-Languedoc circulade villages). Much more in store, but I’ll save the space and let you see for yourselves. For a full itinerary and lots more detail, follow the links provided here or click on the image below. Bonne Route! This entry was posted in Guided Rides and Tours and tagged cycling languedoc tours, nimes narbonne self-guided tour. Bookmark the permalink. Looks fabulous! I shall spread the word. That’d be *three* UNESCO sites, since the Pont du Diable is one, too. So it is, along with the hundreds of others on the Camino listing. Duly noted. Don’t worry, there’s always someplace left to explore!